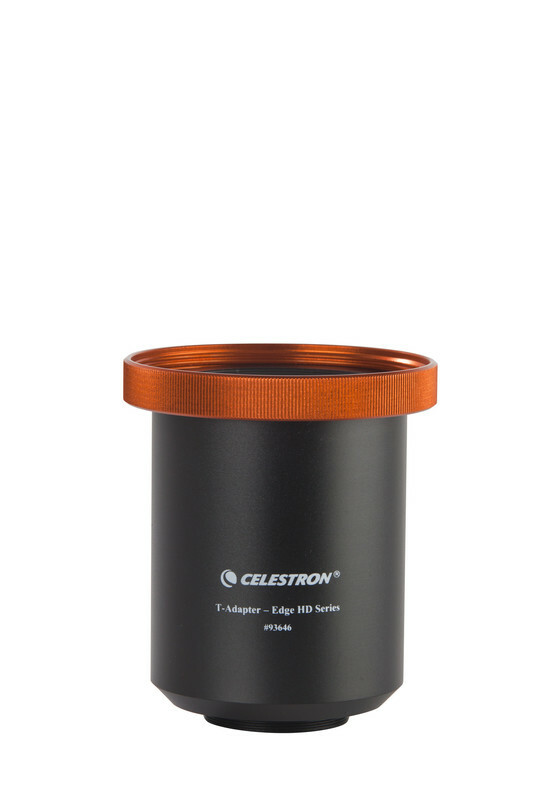 Celestron T-Adapter for EdgeHD for 9.25", 11", and 14"
T-Adapter for 9.25, 11 & 14” EdgeHD optical tubes. 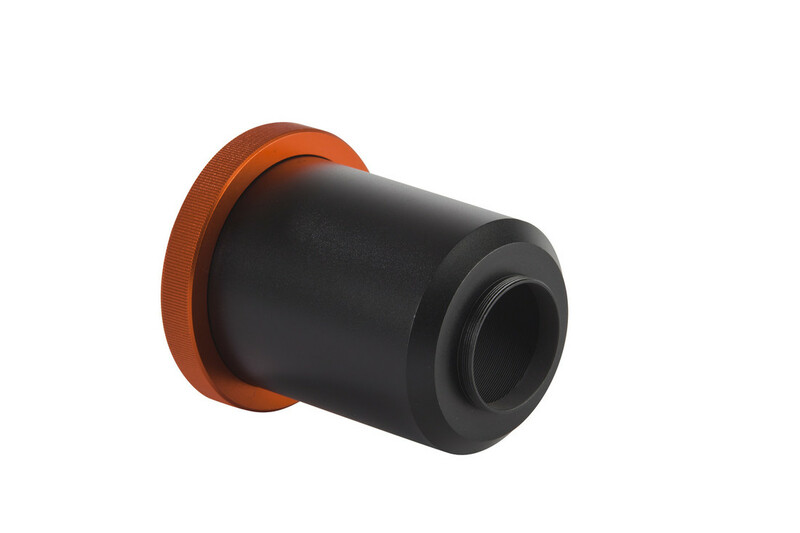 It threads onto the rear cell. 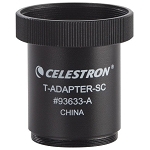 This T-Adapter allows you to attach your 35 mm DSLR camera to the prime focus of your EdgeHD telescope. 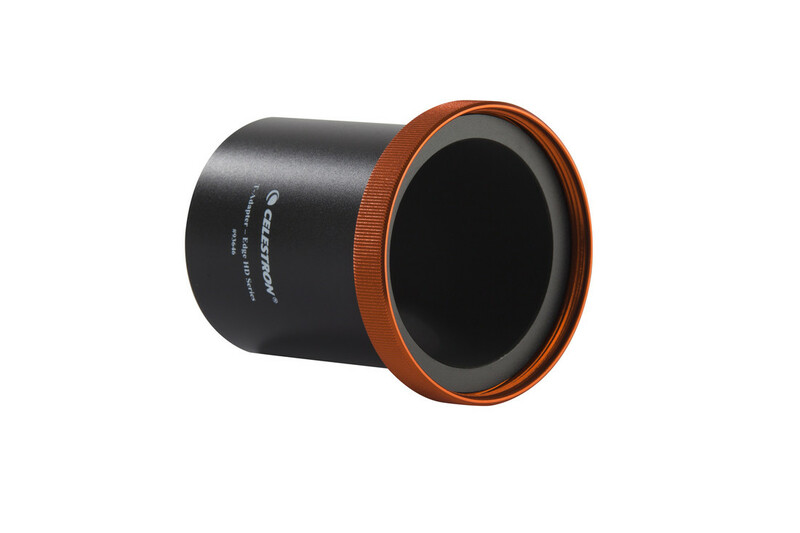 This arrangement is used for terrestrial photography and short exposure lunar and planetary photography. 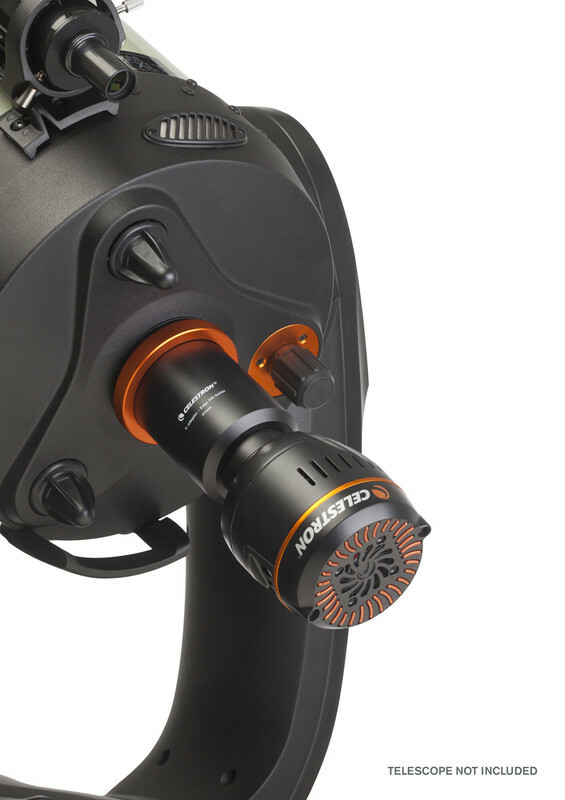 It can also be used for long exposure deep-sky photography when using a separate guidescope. Both a T-Adapter and T-Ring are required to mount a 35 mm SLR camera to your instrument.